In my experience there are two main kinds of three wheeled bicycles. 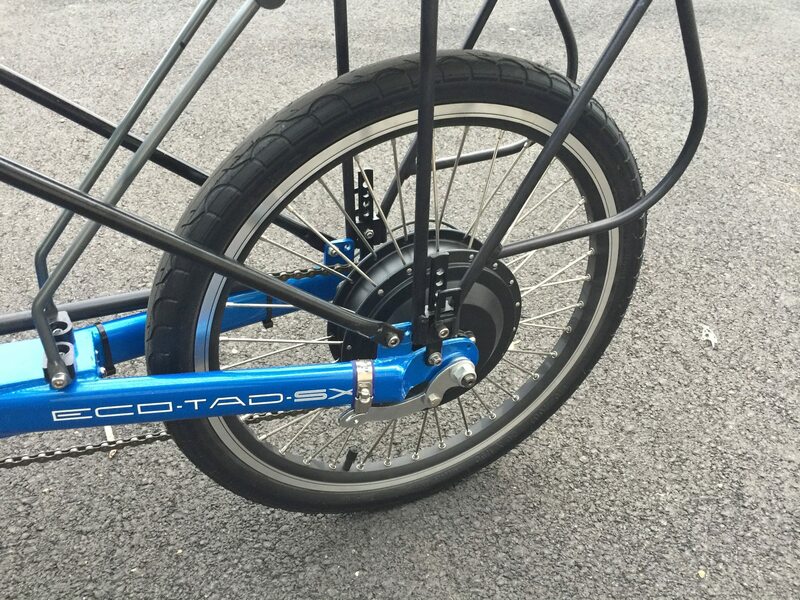 The ones with a single wheel up front called a tricycle or delta trike and the ones with two wheels up front called a tadpole or tad for short. 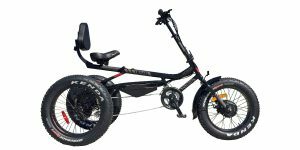 The Sun Seeker Eco Tad SX is the latter type which tends to steer tighter and position riders closer to the ground. 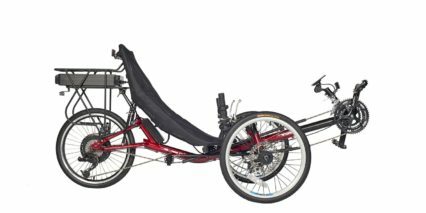 As a recumbent trike, it offers a lower seating position which improves aerodynamic efficiency and for some a more relaxing ride. 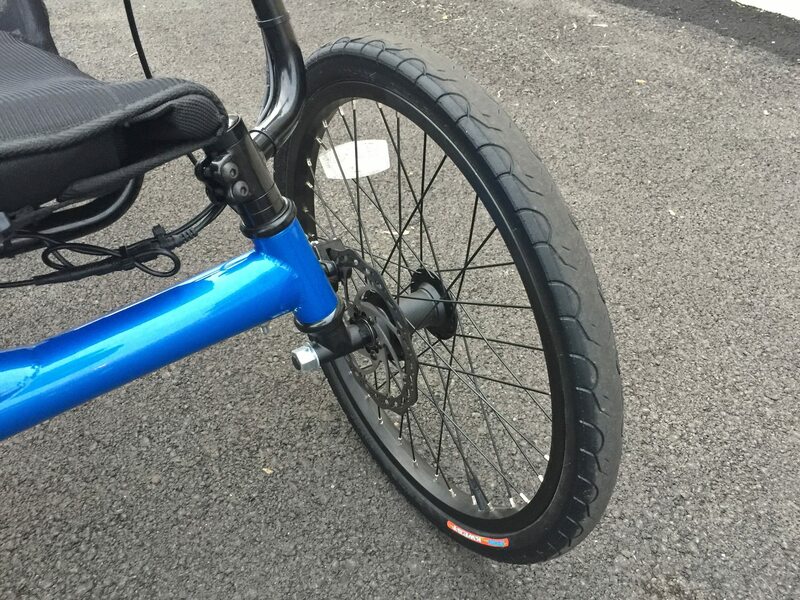 Getting on and off involves a bit of maneuvering, I usually back up towards the seat and reach down to either side using the front wheels as hand positions for stabilization… but once you’re seated, the bike is very stable. 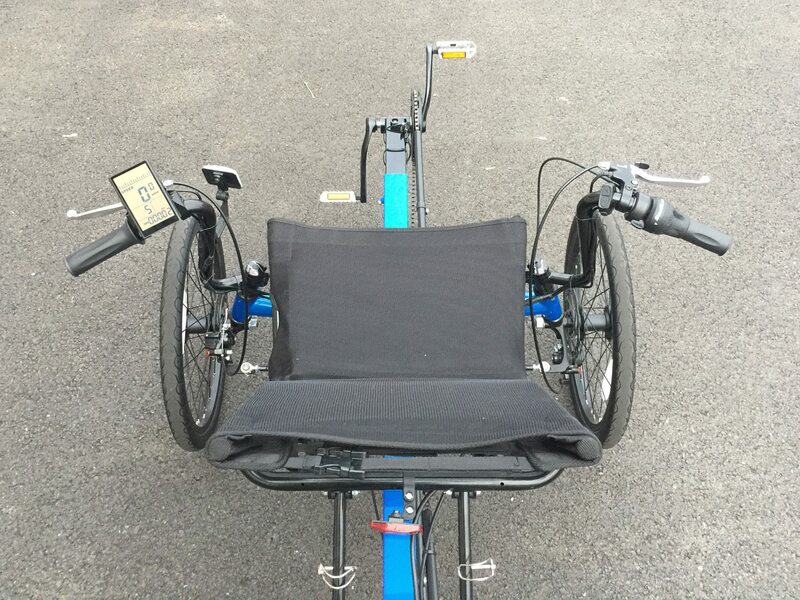 It’s a bicycle that only comes in one frame size but offers lots of adjustability for your leg length and seating (the canvas chair slides forward and back with adjustable struts for a more upright or reclined body position). 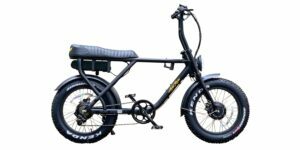 Perhaps this is all known to you but as the most affordable entry-level electric trike I’ve covered I thought it would be nice to do a quick refresh and overview. 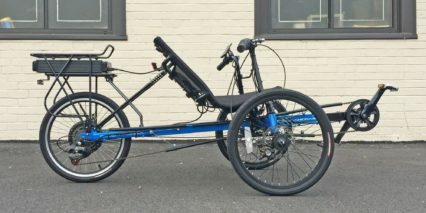 What you get with the Sun Seeker Eco-Tad is a purpose built recumbent tadpole trike professionally converted to be electric by Electric Bike Technologies, sold through ElectricTrike.com. 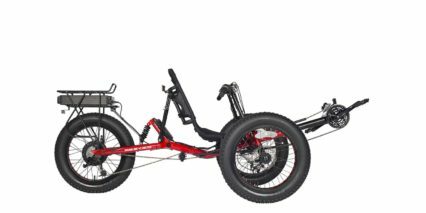 It’s a complete offering, shipping fully assembled and ready to ride. They will even customize some of it for you by request but the service doesn’t come free at $350 (for the contiguous USA). You get a trigger throttle, pedal assist, seven gears and a solid warranty here. 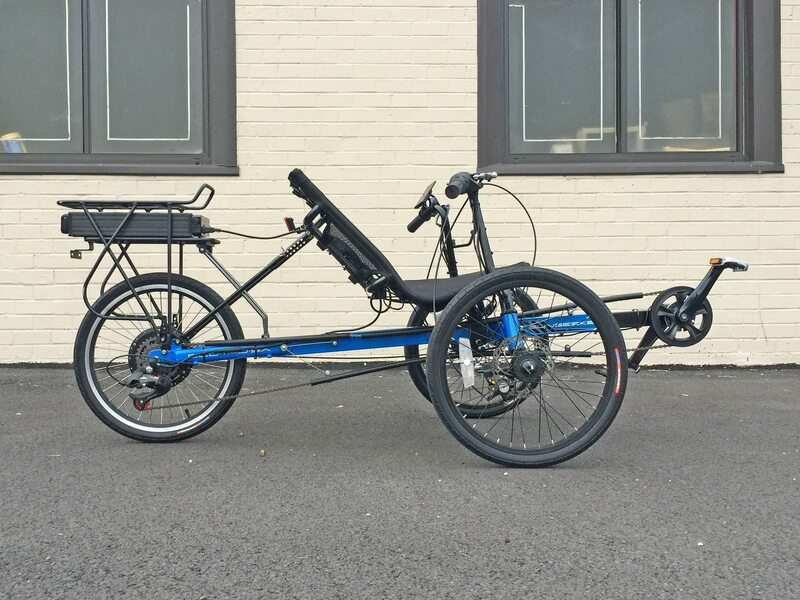 If you’ve considered other trikes like the Eco Delta but want a sportier feel, higher top speed and more powerful motor without breaking the bank… this would be a good option to consider. 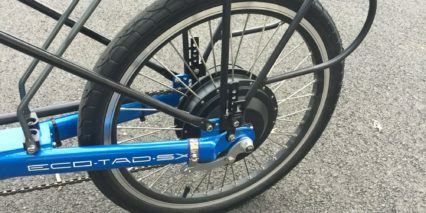 The motor offered with this trike is a 500 watt nominal internally geared hub mounted in the rear wheel. This is really the best place to put a motor because weight is shifted towards the rear as you’re propelled forward. 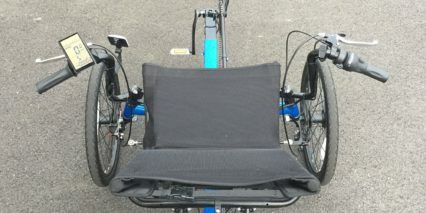 Also, in this case the battery pack is mounted above and much of the rider’s body weight is also positioned towards the rear. You get excellent traction and the simplicity of a geared hub which tends to offer great torque while minimizing weight and no cogging drag. 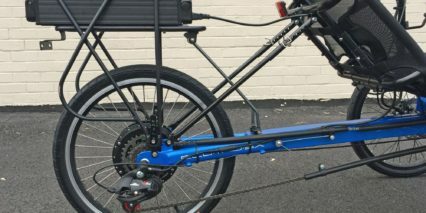 The motor freewheels meaning you’ll coast further and have a slightly easier time pedaling without any power assistance (in case you run out of battery or just want the exercise). 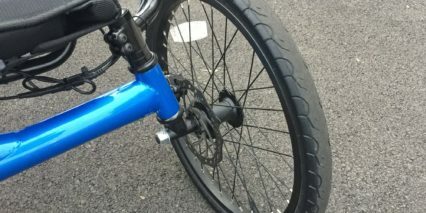 One thing you don’t get is a quick release wheel or absolute silence when riding. Perhaps you can hear the motor whining a bit in the video review above. In my experience it’s more apparent to the rider than surrounding pedestrians… I commented several times on how quiet the bike was given its size and power. You can hit 26 miles per hour with this thing and that’s unique. 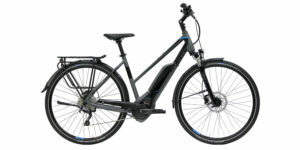 Technically the bike is a speed pedelec but you can manually adjust the top speed using the feature rich display panel. This is a neat feature for riders who want to take it easy and maximize range. I had a blast with the trigger throttle but noticed that it didn’t work in level zero and seemed limited by the power level chosen. 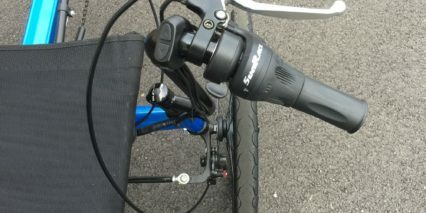 That means there’s a bit of extra screwing around pressing buttons sometimes and the button pad itself isn’t super easy to reach (being positioned behind the trigger throttle and right brake lever clamp). 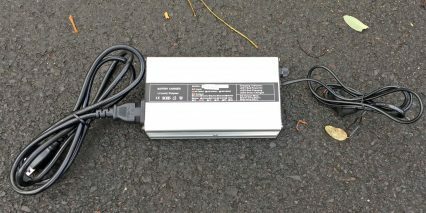 Powering the motor and big bright display panel is a 48 volt 10 amp hour battery pack. 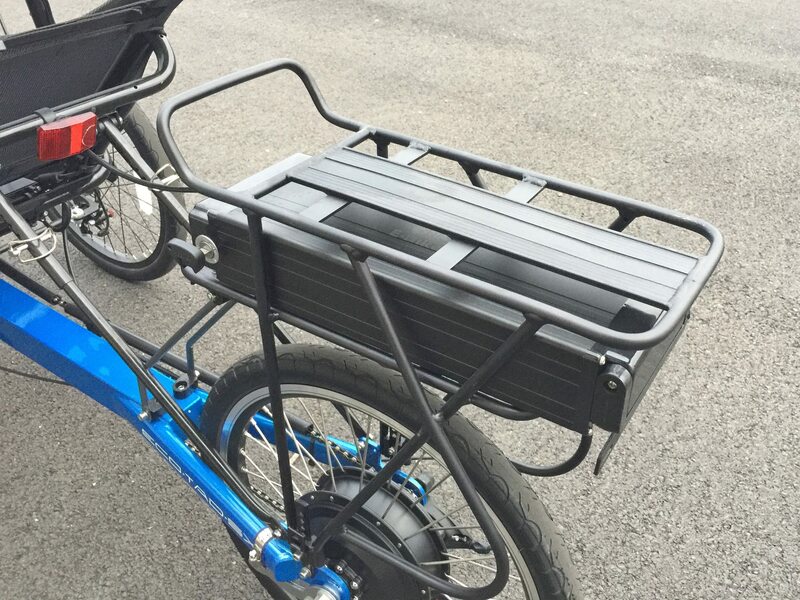 This thing is well protected in an Aluminum shell, easy to access but fairly secure in the rear rack and convenient to slide on and off (for reduced weight or independent charging). 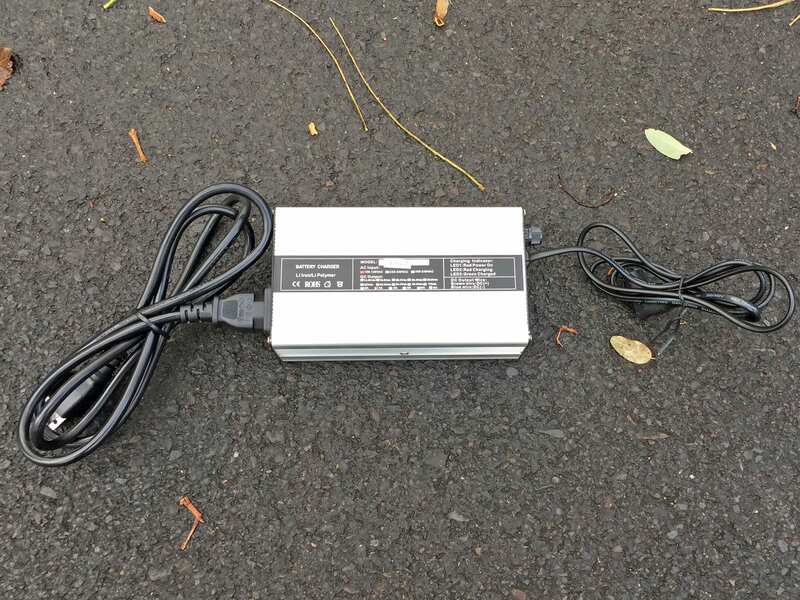 I was told by the Electric Bike Technologies folks that the battery pack is not proprietary and I noticed that their connectors looked more standard, similar to a computer power plug. This means you can upgrade or get a replacement without spending as much money later on and without worrying about whether the company stays in business. I like that and was impressed to hear that they also spent extra time and energy programming custom battery curves into their controller to match each battery pack on offer. You get a much more accurate power indicator as a result of this and shouldn’t have that “oh crap” moment out on the trail when the battery goes from half to nearly empty on the display. This used to be a big deal with some kits, especially those with just a few LED lights indicating charge level. The whole setup here is professional and easy to work with… but it’s not perfect. 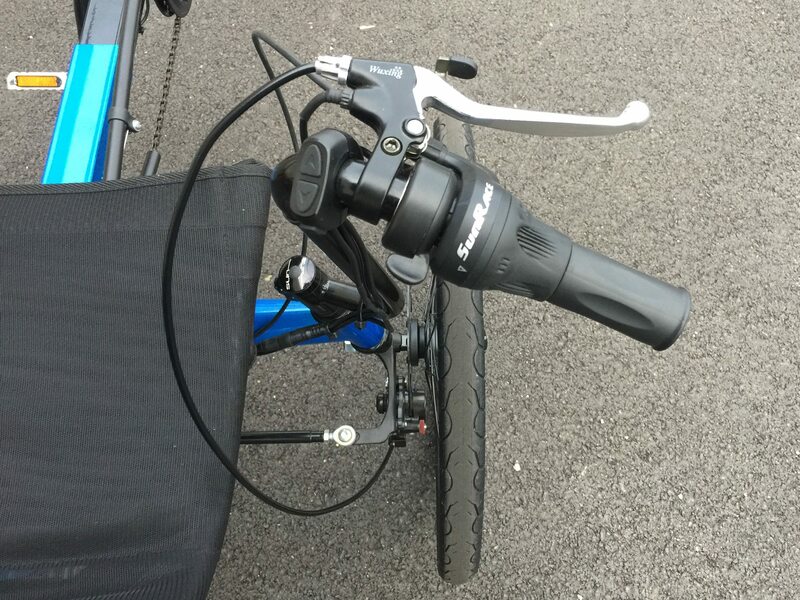 The battery pack requires that you leave the key inserted and turned to “on” in order to operate the bike. That may not sound like an issue, and it’s really not so bad, but it can become annoying if you’ve got the key connected to a keychain rattling along the way. Consider a small carabiner clip or carry the key on its own. 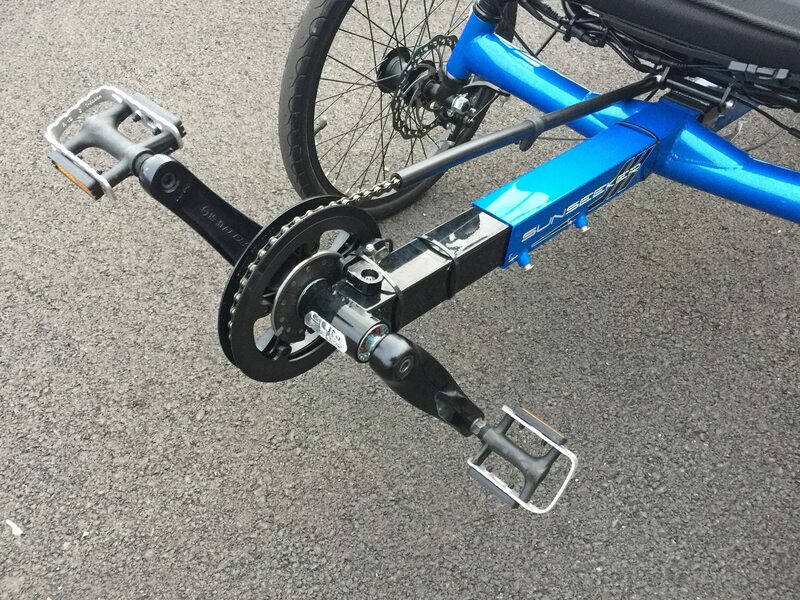 The other slight inconvenience is that the key must be completely removed in order to slide the pack off the back of the bike rack mount. If you don’t take the key out it will collide with the left side of the rack and could even get bent. I show this in the video and again… not a huge deal but it does represent one more opportunity to misplace the key. At the back of the pack is a flip out handle and underneath is the charging port. 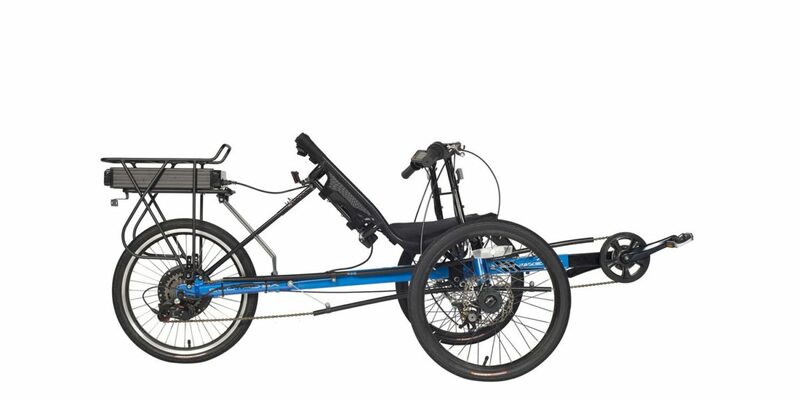 I wish it had a built-in LED light for safety, and I’d love to see a similar integrated light up front because recumbents just aren’t as visible as upright bicycles, especially at night. Perhaps an LED tail-whip flag pole add-on could be worth considering as an after market purchase? I like the 3 Amp charger, which is made from a similar Aluminum box design, because it’s durable and faster than average. This is the kind of thing you could toss into a trunk bag or panniers and always take along to extend the ride. 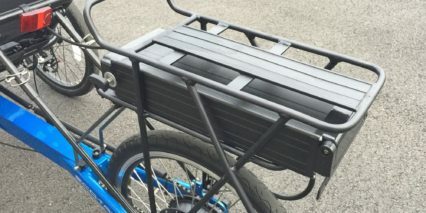 Again, the rear rack is very solid with extra support arms and nice pannier blockers on either side. It’s not as capable as it could be if the battery were mounted separately but it’s good for what it is. At the end of the day, this is still a converted trike. 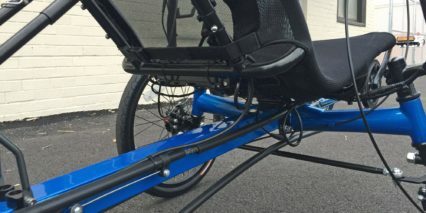 It’s not as polished or perfectly executed as the $5,000+ models I’ve ridden but in some ways it gives you more… More speed, a more open battery interface and even more options for how the bike works. 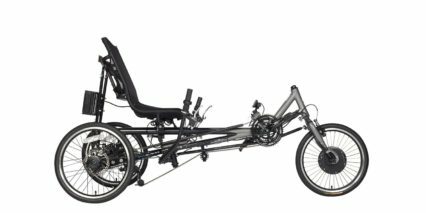 This is one of the few recumbent electric trikes that lets you purposefully limit speed and power. It’s definitely one of the cheapest options but that doesn’t mean it’s not sturdy or lacking on the support side. Yes, you pay extra for shipping… you have to unless you live near Pennsylvania and can drive to their headquarters. 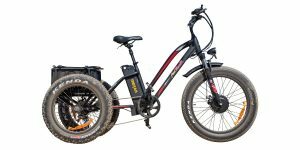 But this is an electric bike that’s designed and assembled in America by a team with a long track record of selling kits then doing a few custom ebike projects. 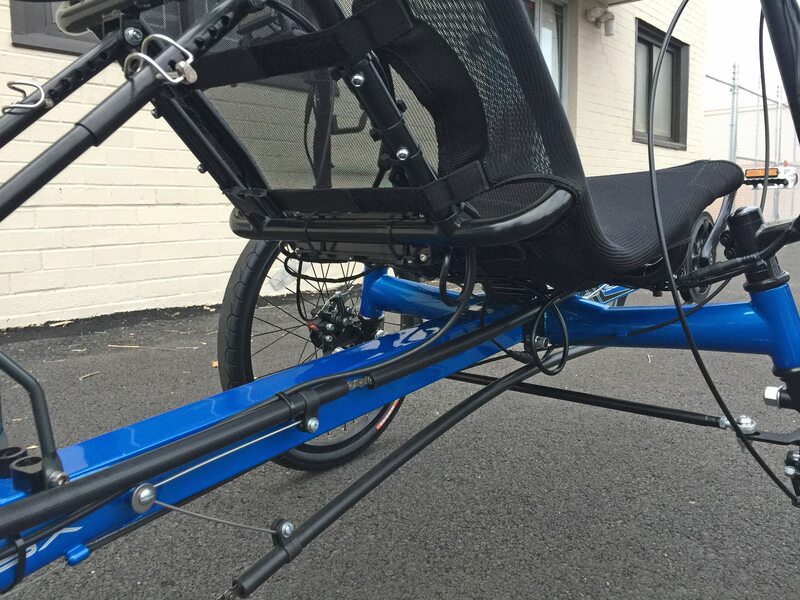 I admire them and love that they actually sell the electric drive system separately so you can convert your own SunSeeker trike (if you already have one). I’m more of a delta trike kind of guy because my neck has some injuries and the way-back seating position just isn’t comfortable. 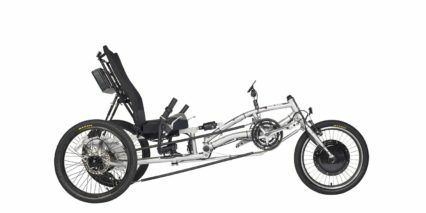 But it’s hard to deny the quick steering and sports-car feel of this and other tadpole trikes. There’s not fancy suspension but the canvas seat takes the edge off. The tires are average (not especially high quality or thick) but they’re all the same size so you can upgrade all at once. 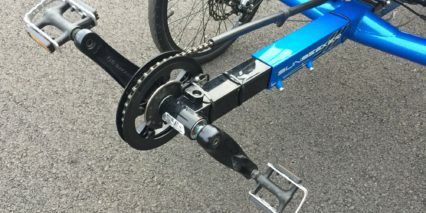 I like the mechanical disc brakes and thought the independent braking was cool since it can help you turn or even slide a bit and drift. 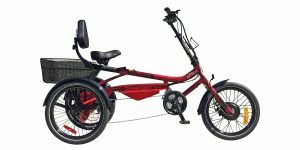 It’s a neat product that would work well as a stable utility hauler during the week and a sporty racer on the weekends. 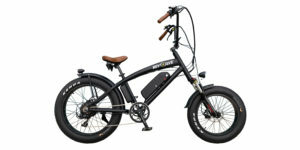 Big thanks to Electric Bike Technologies for partnering with me for this review. 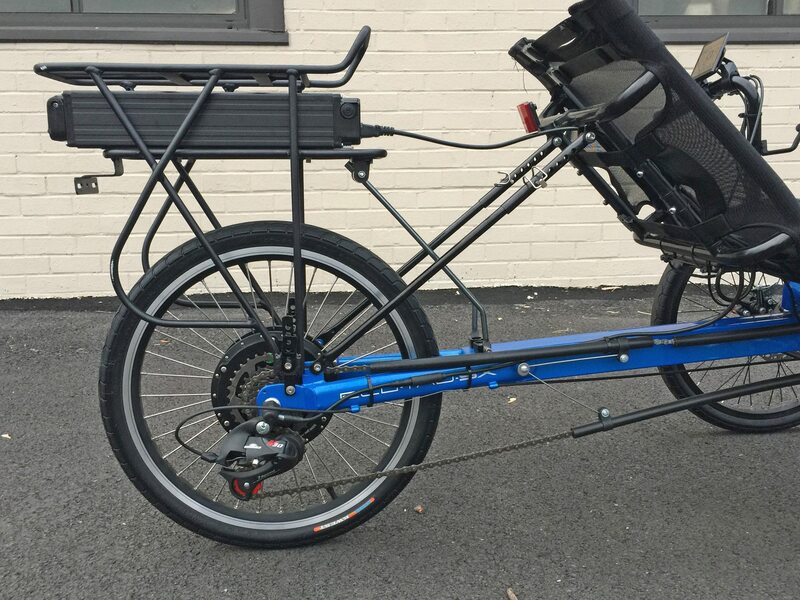 I am surprised that with all of that space between the seat and the rear wheel, that they did not mount the battery on the frame, leaving the rear rack just for cargo. This is an incredibly well thought out and informative article. Love the bike and not a bad price for all of this. Great stuff. Thanks Simon! Glad you enjoyed it, I do my best to be comprehensive but also leave comments open so we can get different perspectives. Looks like you might own a bike shop in New York? What brands to you carry? This bike looks nice. 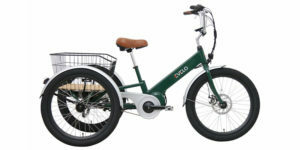 Are there any places in Milwaukee, Wisconsin that have this bike to test ride? 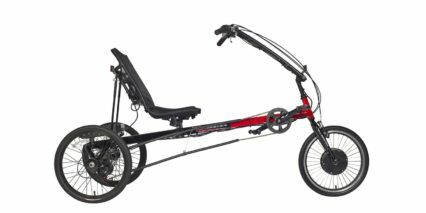 I have never ridden a recumbent before, I would love to try this.